Options - Oh My! : IS YOUR GARAGE A "NO PARKING ZONE"? IS YOUR GARAGE A "NO PARKING ZONE"? 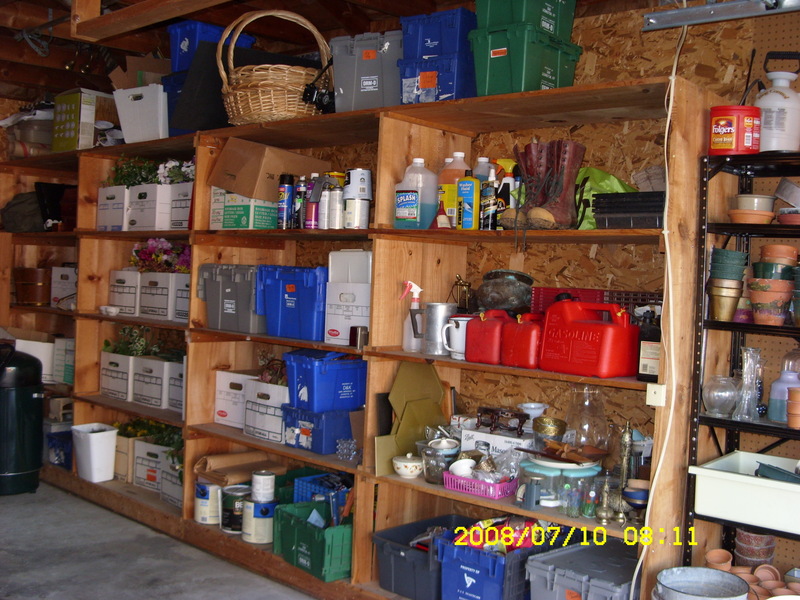 This week let’s tackle organizing the Garage. You know, it is that space designed for parking your vehicles. Organizing the garage is always a good place to start, once you commit to organizing your home. Oh, too much going on now, then schedule this project on your seasonal “TO DO LIST”. Fall is only 67 days away and it is the perfect time to organize this space because everything that came out of the garage in spring and summer needs to go back into the garage before winter blows in. Still not wanting to tackle the garage, consider this, what is the first sight you see upon returning home? You pull into your driveway your garage door opens and there it is. What is the last sight you see when leaving home? Oh, all that clutter is bothersome. Not really how you want to start your day is it? It is my intention to set myself and my life up for success. Organizing the garage has just shot up to the top of my week-end “TO DO LIST”. How about you? As you sort you will see a pattern starting to develop and you will see what ACTIVITY ZONES need to be created. We are converting the garage from a No Parking Zone to a clean organized space for parking your valuable vehicles and space for a few things we need outdoors. Remember; keep like items with like items. Think of how a store is set up, they organize things for you to be able to find what you need. With this in mind, which of the following zones work in your life style? Critical to your success is time spent to “Plan your space”. Sketch a layout of the garage including measurements of the space and measurement of the storage pieces. It is like a puzzle, it can be fun to set up your ACTIVITY ZONES. Use the common sense approach, it is really so logical. Colonize every inch; Peg board, shelves, totes, clear boxes, and any container that keeps things accessible. Keep the most used items with in reach of the work surface. Make it comfortable. When you create a work station, consider the lighting, Lighting is very important. Step stools, benches, and a chair are the items you will need to make the space inviting to work in. Get up off the floor; Hooks or units that utilize tracks and attachments that make the walls perfect for hanging bikes, skis, golf clubs, rackets, and the like. Create a section close to the door to the house with a peg board or clips for brooms, mops, brooms, ladders, flash light and the things you need in the house. In all organizing project SORTING AND PLANNING are the key to your success. Too busy to organize your garage or don’t want to tackle such a job, hire someone to do the job. Consider calling Options – Oh My! I love to organize.